Short walk with views of the wetland and mountains on a clear day. This is a short (10 minute) loop walk that you could do before or after the White Heron Sanctuary tour as the entrance is directly opposite the jetty. If you do the White Heron Sanctuary tour you will be driven there as part of the tour. You can drive there yourself by taking Waitangi-Flat Road from the crossroads in the middle of Whataroa. Look for a sign to White Heron jetty about 8 km down the road, and follow the gravel road for a few km until you reach the jetty. 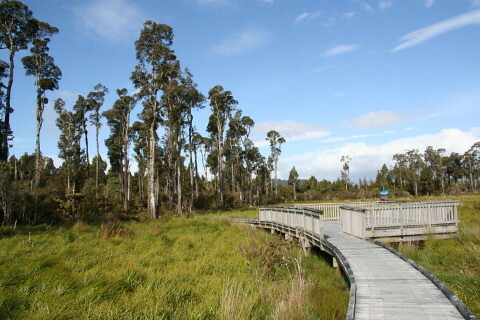 The Waitangitaono wetland walk is directly opposite and there is a small parking area.